The West Somerville Neighborhood School focuses on building student writing skills to synthesizing thinking and to nurture creative expression. The school strives to extend and improve students' learning through the use of assessments, differentiated instruction, the use of technology and interdisciplinary projects. The ultimate goal is to develop students with skills to become independent and self-sufficient adults who contribute responsibly in a global economy. K-8 Building a culture of achievement as an international demonstration site for the Quaglia Institute for Student Aspirations. K-8 Social-emotional curriculum called Second Step for all students in Grades K-8. K-8 Library/media center open extended morning and afternoon hours for independent reading, research and class work. K-8 Developmentally appropriate after-school programming for all students. 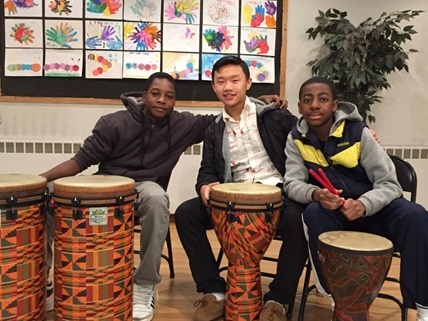 Learning at the WSNS continues well past the afternoon bell with a variety of afterschool programs and enrichment opportunities for students, including academic support, creative arts and sports. K-8 Library / media center open extended morning and afternoon hours for independent reading, research and class work. K-8 Annual school-wide Science Fair, Grades K-8. K-8 Tutoring support for struggling students through Afterschool Tutorial Program and Tufts University students. K-8 Named a bronze school in the U.S. Healthier Schools Challenge for excellence in food service and physical and nutrition education. Grade 6 Grade 6 students attend "Kids to College" at Tufts University.